Values and strategies are something that people highly misunderstand. They tend to become colossal powerpoints, that no one in the end understands. A good strategy is simple, inspiring, motivating and guiding. Nothing else. It does not have to do anything more than that. 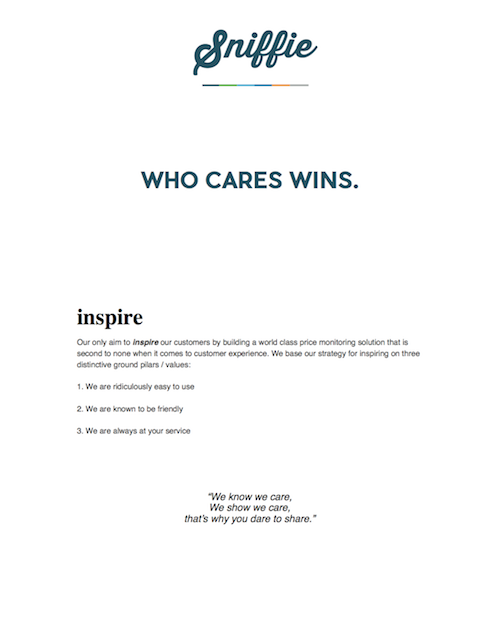 Here’s our CX strategy for you to get inspired. Why CX strategy is so important? Customer Experience is specially important for Sniffie. As the growth of the company is based on a longtale business model of a SaaS service, the CX needs to be involved in every little detail. It is run in matrix with a CX lead working with all teams. 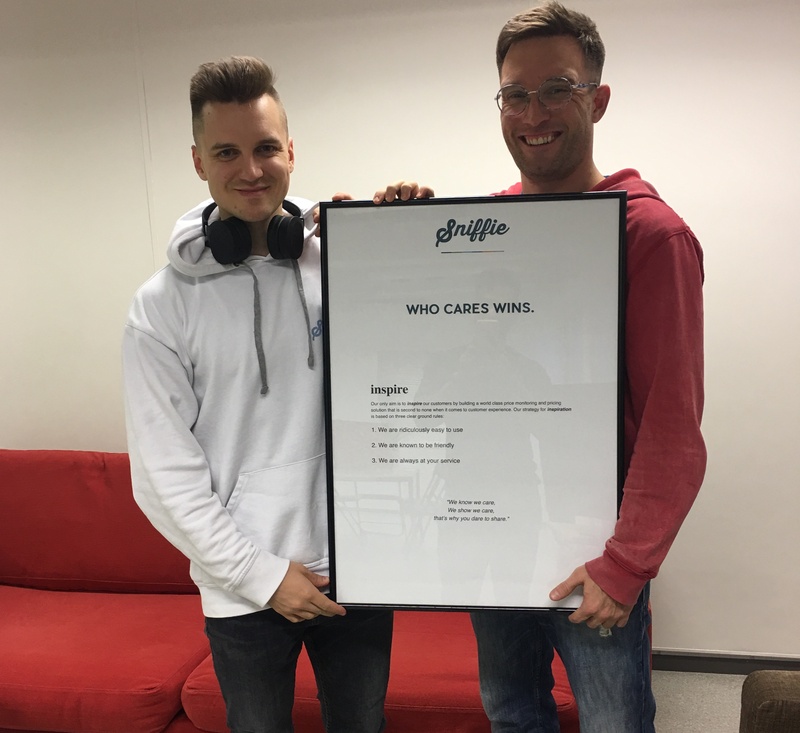 Customer experience is monitored and improved on a daily basis in all areas and then designed into the core of Sniffie. Customer Experience Strategy is the guiding light that makes your organisation communicate with a similar attitude. Think of Sniffie being a person. Values are the base that keeps us in the right path, brand is our persona but customer experience is our behaviour and emotions. And we all know how emotions and behavior go hand in hand. That’s why we wrote it in the form a poem as well. Because poetry portrays our deepest emotions we decided to still write it in the form of a poem. Enjoy and have a happy weekend!